First things first — I'm super excited for Guardians of the Galaxy . As is pretty much everyone else because it's the summer blockbuster we've all been waiting for. It promises to be equal parts comedy and sci-fi action-adventure. 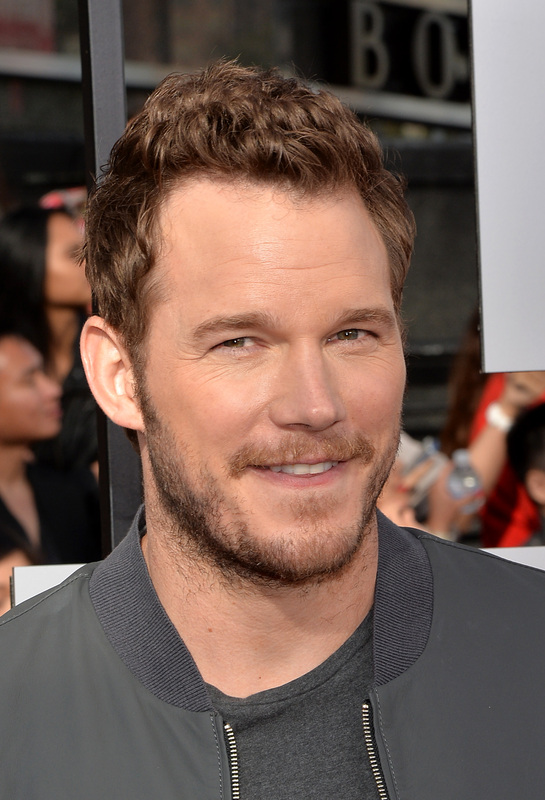 It also happens to star the hilarious and charming Chris Pratt. Mind you, it's Pratt and a precious little raccoon sidekick named Rocket, who is voiced by Bradley Cooper, so it's basically the most giddiness-inducing pairing in the history of the universe. To promote the film, Pratt is on the cover of the latest issue of Entertainment Weekly all decked out in his Star-Lord gear ... and he's heavily photoshopped. Pratt, who did lose a considerable amount of weight and toned up for the role, looks even thinner on the cover. His cheeks are longer, his jaw is smoother, and his forehead shorter, making him appear even more boyish than usual. Thankfully, he's not as freakishly disfigured as some celebs can be when it comes to photoshop fails. Nevertheless, with a close look, it's impossible to ignore that Pratt doesn't exactly look like himself on the cover. The perils of over-photoshopping are as dangerous as the deep reaches of outer space. Let's keep people looking less... alien, shall we?